This month we continue our series to honor the veteran members of Branch #191, and will acquaint you (or reacquaint you), with Comrade John Howard. John was born in Toronto and grew up in the east end, Woodbine area where he and his friends were fortunate to be able to adventure in an undeveloped area with a large ravine, trees and stream. He attended Bowmore Road Public School. John’s first military experience was at age 16 with the Government Horse Guard but his ambition was to fly. When he was old enough, he joined the Air Force and embarked on his quest to be a pilot. 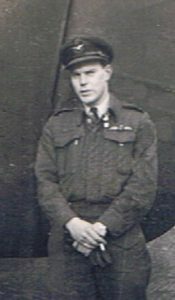 Following a bevy of training in Canada and finally England, gaining experience on Tiger Moths, Halifax bombers, Cessna Cranes, Oxfords, and Wellingtons he ended up with 4 Group, 578 Squadron flying operational missions. On VE day, he was on embarkation leave in England and celebrated there with Winston Churchill, the King, Queen and Princesses and huge crowds of people. On return to Canada John studied Engineering at the University of Toronto. He worked at a few jobs he didn’t enjoy very much and ended up at a pulp and paper mill in northern Ontario. Having found an industry he liked, he went on to design and build pulp mills including the mill in MacKenzie, BC, and another in Quebec. John eventually became President, Western Forest Products Engineering Group. Twice married, losing his first wife at a young age and his second eight years ago, he raised three children: Bruce, a pulp mill worker in Crofton has retired to Chemainus; Rick (John), an emergency nurse at Royal Jubilee Hospital in Victoria; and Terry, a Psychiatric Nurse in Vancouver. John owned seven aircraft and continued to fly until he turned 80. At 88, John lives in Duncan and enjoys spending a little time with his television, but his favorite hobby is his girlfriend, Pat. John William Howard (Bud), died peacefully in his 93rd year on August 17th, 2016 at Cairnsmore Place in Duncan BC. John is survived by his children Bruce, Terry and Rick and by his many grandchildren and great-grandchildren, also by his family across Canada and overseas, cousins, nieces, step-children. John was born and grew up in Toronto. 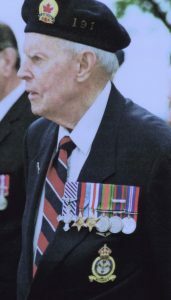 At 18 he joined the RCAF, receiving his pilot’s wings in 1943, and travelled overseas aboard the Queen Mary to eventually be posted to the RAF 578 Squadron flying Halifax bombers. Despite his aircraft taking many hits from enemy flak John always landed with his crew unscathed and was awarded the Distinguished Flying Cross in 1945. In 1948 John married Margaret Boissonault and graduated from the University of Toronto with a Bachelor of Applied Science in Mechanical Engineering. They moved to Dryden, Ontario where they had their two children. Here John began his lifelong career in the pulp and paper industry across Canada and the world. John culminated his career in the design and construction of pulp mills including Mackenzie BC and St. Felicien Que. Sadly, shortly after moving to the West Coast his dearest Margaret died. John remarried resulting in his 3rd child. Incompatibility ended that marriage and one more. A 40 year friendship with Pat introduced him to Myrna, his 4th wife who was sorely loved to the end (she passed in 2003). Friends will remember John’s charisma and his willingness to share his passion for flying small aircraft. The family wish to thank Dr. Shannon Booth, the staff at Sherwood House and Cairnsmore Place for their dedicated care. 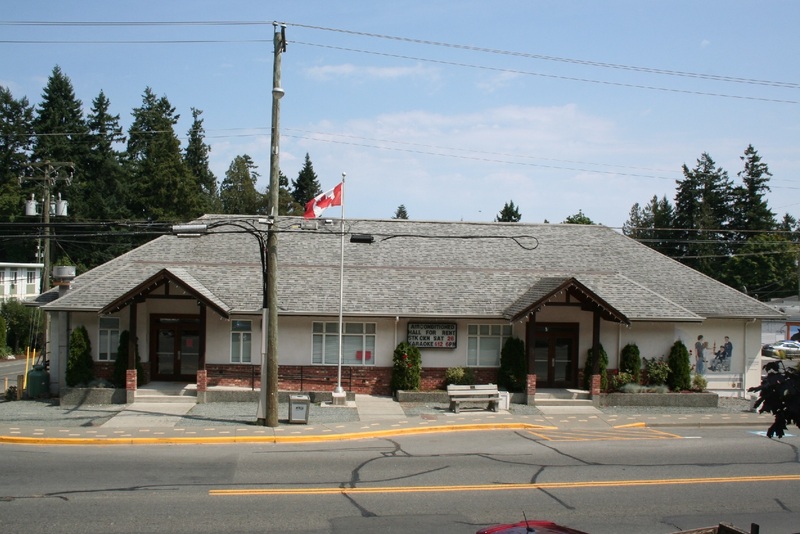 John’s ashes will be placed beside his beloved wives Margaret and Myrna in Capilano View Cemetery in West Vancouver. A memorial will be held on Saturday, September 10th at 2:00 pm, at the Royal Canadian Legion in Chemainus, 9775 Chemainus Road.